BODEGAS MACAYA is an enotourism proposal, a domain to be explored, discovered, to learn and to savor wine in its maximum expression, a place where all that is traditional and modern come together as one. At BODEGAS MACAYA we offer you a very interesting and entertaining visit. Come and see it for yourself. Visit BODEGAS MACAYA and discover all the secrets involved in the production of our wines. The visit starts at our facilities, with a brief history of our beginnings and an explanation on how work takes place, where our wines are produced, and where we can appreciate and see the spectacular lavishness of the world of wine. We also offer the possibility of visiting the vineyard and the vine-stock nursery fields. The visit comes to its grand finale with a tasting session of our finest wines. Selling of wines during the visits. 9-13 hours / 15-18 hours, prior appointment. 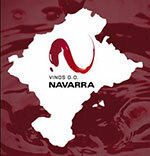 Navarra represents one of the most interesting territories that any visitor could possibly encounter. History, art, traditions, wineries, exquisite gastronomy, and a privileged setting, all come together to form part of the offer that this area affords the traveler. The different entities that make up the RUTA DEL VINO DE NAVARRA (NAVARRE WINE ROUTE) all make tremendous efforts so that a visit to our territory will turn into an unforgettable experience, articulating new activities, always based on the sense of quality of life. Apart from the opportunity to visit our wineries, vineyards and taste our wines, the Ruta del Vino is also the ideal setting to go on strolls and obtain knowledge on the important elements of the past that are a reflection of the importance of the territory. Viveros Macaya is currently the national leader in the multiplication and selection of vine plants. It was founded by Lorenzo Macaya Nieto during the decade of the sixties and it has now been reinforced with the second generation, which after sound and substantial training has come to provide the enthusiasm and ample competence that are necessary to ensure the continuity of the vine nursery.